Welcome to The Woodlands Concert Band Gallery! The galleries are organized by subject and/or by concert. Please feel free to browse the images at your leisure. Thank you for stopping by. 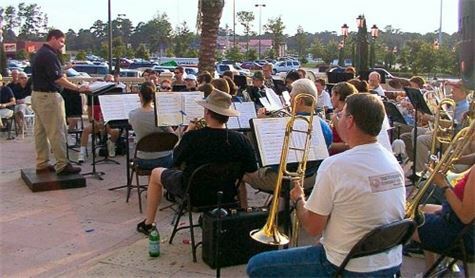 The band was invited to perform at the "official" The Woodlands Independence Day parade and celebration. 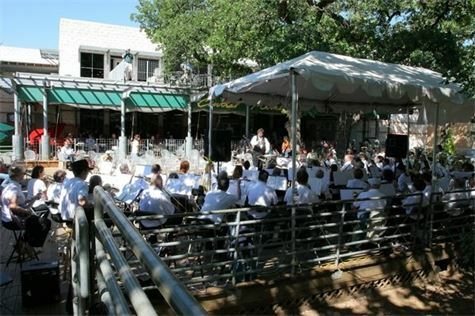 The concert took place outdoors in Market Street in The Woodlands, Texas. Barnes and Noble agreed to sponsor us by allowing some of our small ensembles to play for a day inside their store. Images from our Summer concert series performed at Christ Church United Methodist in The Woodlands, Texas. Our warm outdoor performance at the first Texas Community Music Festival which was held in Austin, Texas. Our Spring 2005 concert series at Christ Church United Methodist in The Woodlands, TX. 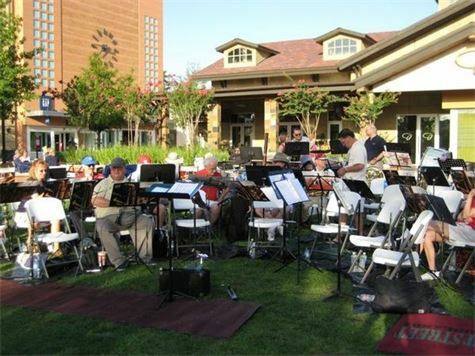 A wonderfully dehydrating patriotic concert, 104 degrees in the shade, at Portofino Center in The Woodlands, Texas.